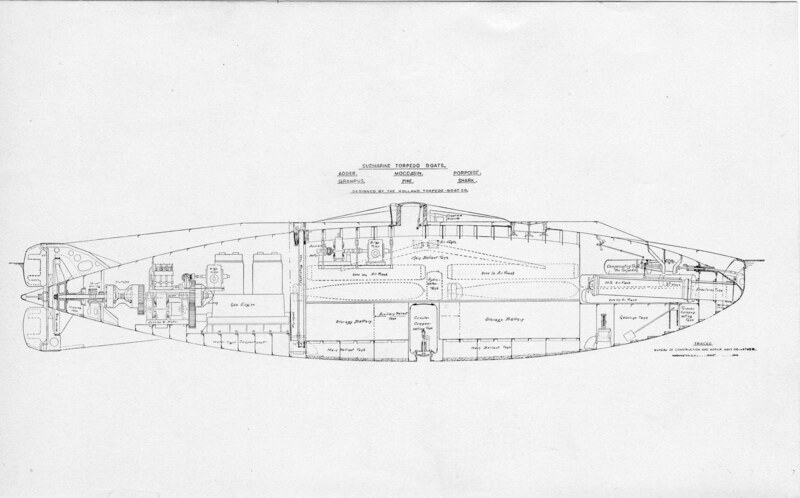 Adder Class Submarine Torpedo Boat: Laid down as Pike, 10 December 1900, at Union Iron Works, San Francisco, CA. 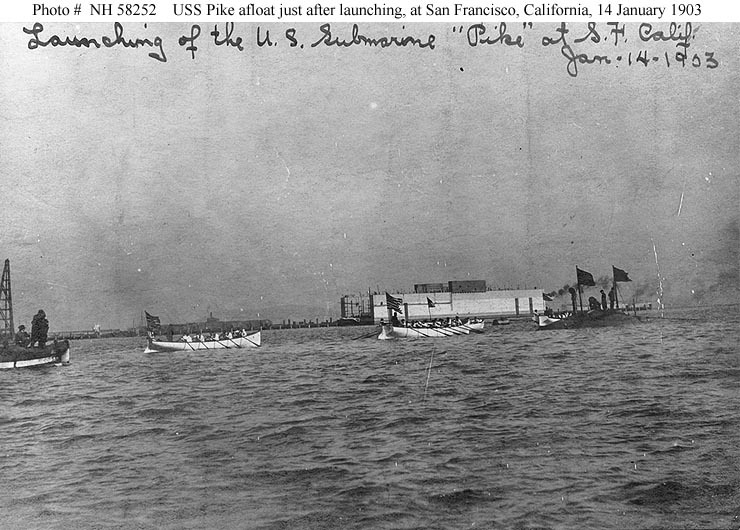 ; Launched, 14 January 1903; Commissioned USS Pike, 28 May 1903, at Mare Island Navy Yard, Vallejo, CA. 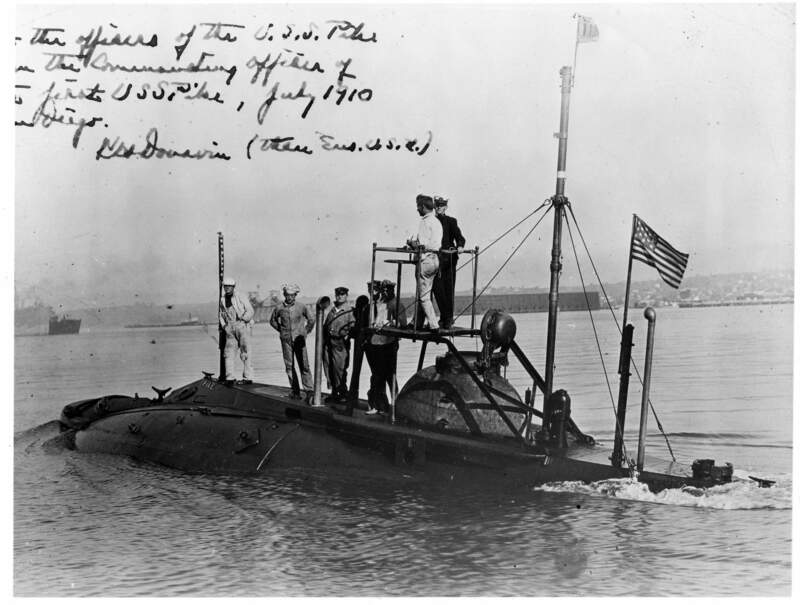 ; Decommissioned, 28 November 1906; Recommissioned, 8 June 1908; Renamed USS A-5 (Submarine Torpedo Boat No.5), 17 November 1911; Decommissioned, 28 June 1912, at Puget Sound Navy Yard;; Laid up at Bermerton, WA. ; Recommissioned, 17 April 1915, at Olongapo, PI; Designated (SS-6), 17 July 1920; Decommissioned, 25 July 1921; Struck from the Naval Register, 16 January 1922; Final Disposition, designated as a target, fate unknown. 1.60k THE BUILDING OF A SUBMARINE BOAT. Various views of Holland (SS-01) & Pike (SS-6). Image and text provided by University of California, Riverside. Photo from The San Francisco Call. (San Francisco [Calif.]) 1895-1913, 13 April 1902, Image 14 via chroniclingamerica.loc.gov. 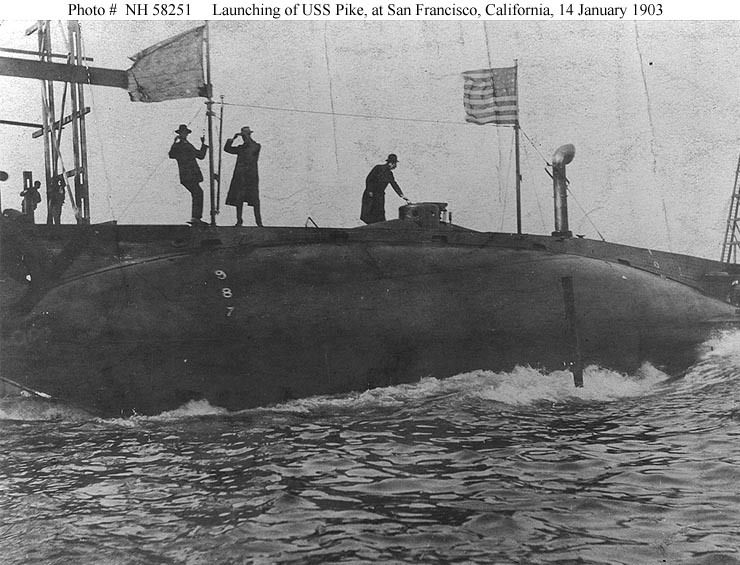 102k The Pike (SS-6) is launched at the Union Iron Works, San Francisco, California, on 14 January 1903. Collection of Fleet Admiral Chester W. Nimitz. USN photo # NH 58251, from the collections of the US Naval Historical Center. 105k Pike (SS-6), afloat immediately after her launching, at the Union Iron Works, San Francisco, California, on 14 January 1903. Several Navy pulling boats are nearby, Collection of Fleet Admiral Chester W. Nimitz. USN photo # NH 58252, from the collections of the US Naval Historical Center. 987k The submarine torpedo-boat Pike (SS-6) was launched yesterday morning at the Union Iron Works. Image and text provided by University of California, Riverside. Photo from The San Francisco Call. (San Francisco [Calif.]) 1895-1913, 15 January 1903, Image 10 via chroniclingamerica.loc.gov. 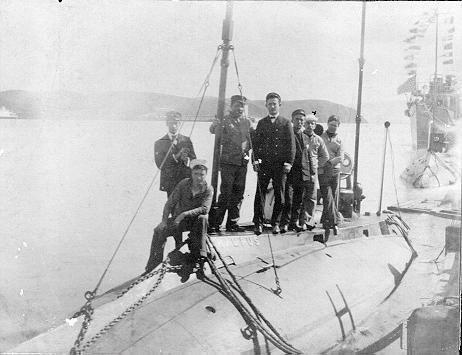 961k SUBMARINE TORPEDO-BOAT PIKE (SS-6) AND MEN WHO HANDLED HER. Image and text provided by University of California, Riverside. Photo from The San Francisco Call. (San Francisco [Calif.]) 1895-1913, 02 April 1903, Image 3 via chroniclingamerica.loc.gov. 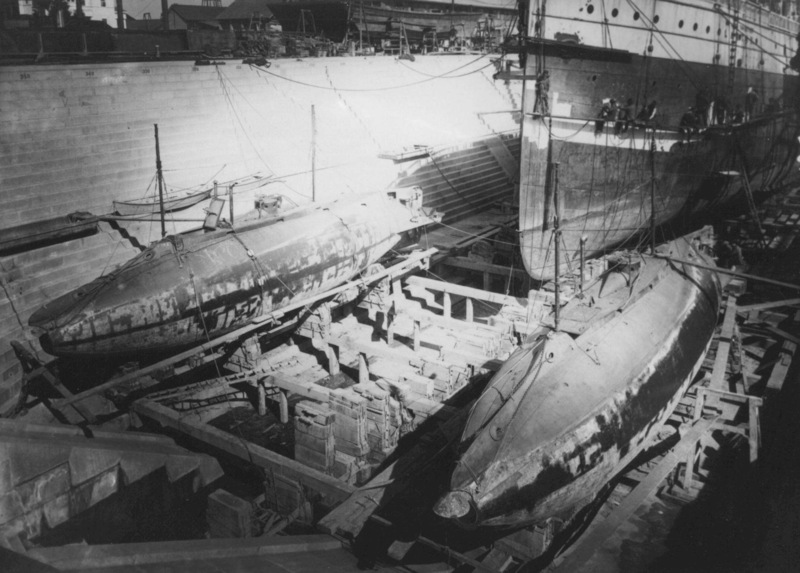 102k Grampus (SS-4) and Pike (SS-6) in the hydraulic lift drydock at the Union Iron Works, San Francisco, California, circa 1903. USNHC photograph # NH 53765. 279k Pike (SS-6) at the Union Iron Works San Francisco, CA on acceptance trials day April of 1903. From the personal collection of Ric Hedman TN(SS). 28k Grampus (SS-4) and Pike (SS-6) photo taken April, 1903 with the in the background. Shown on deck are (in no special order) Frank Cable,William F.C. Nindemann, Harry H. Morrell, Henry S. Lathrop, Herman W.Noblett, Lawrence Spear, and Gunner Owen Hill, US Navy. From the personal collection of Ric Hedman TN(SS). 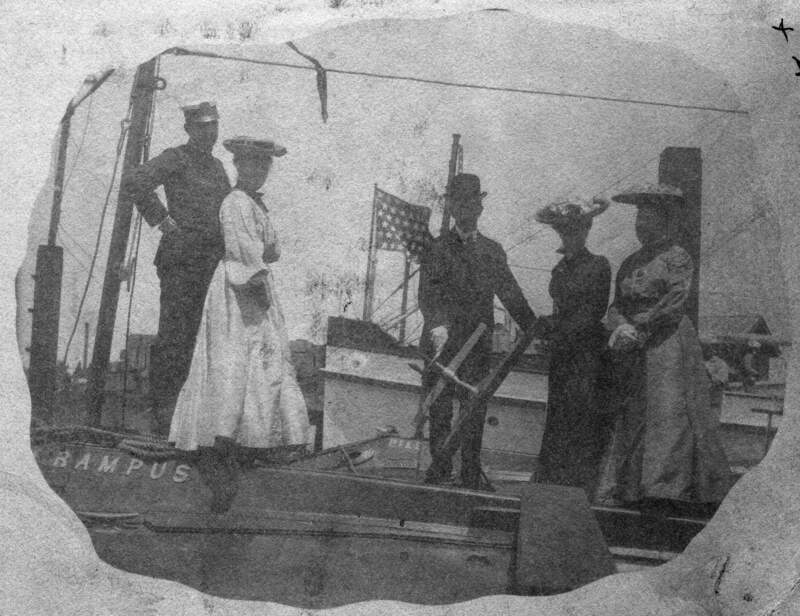 1.50k Grampus (SS-4), during her commissioning at Mare Island on 28 May 1903. 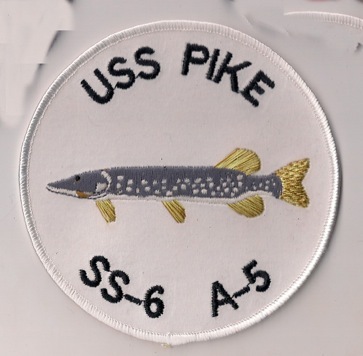 Pike (SS-6) is inboard of the Grampus. USN photo courtesy of Darryl L. Baker. 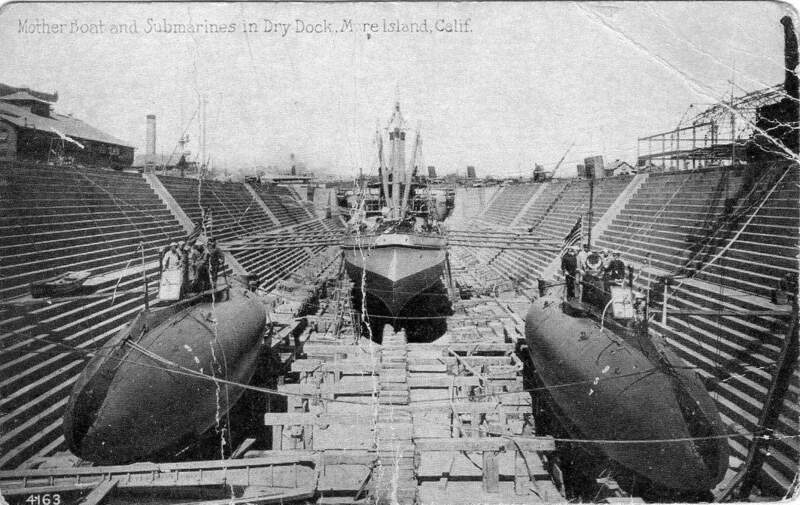 164k Grampus (SS-4) at right Pike (SS-6) at left in drydock at the Mare Island Navy Yard, California, 23 September 1903. The Army Transport Lawton, freshly painted, is in the center. USNHC photograph # NH 65648. 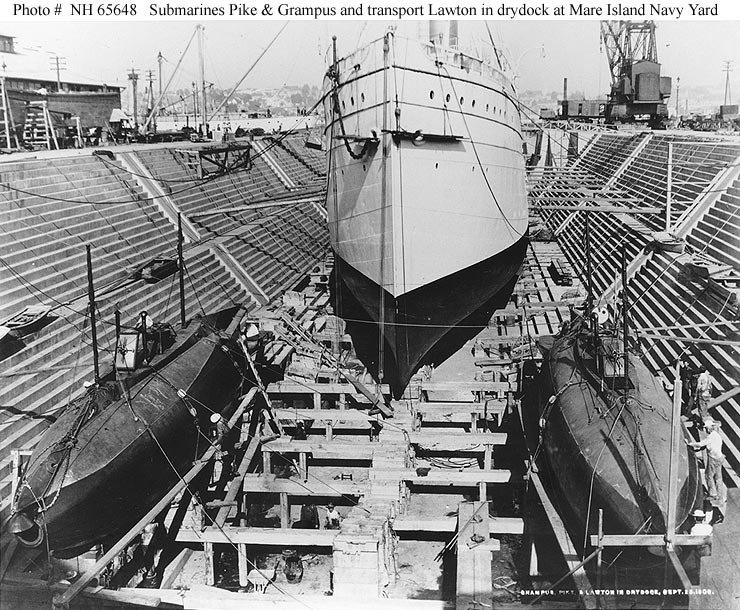 590k Grampus (SS-4) at right Pike (SS-6) at left in drydock at the Mare Island Navy Yard, California. Photograph is dated 19 October 1903. The Army Transport Lawton is being painted in the right background. Text courtesy of USNHC photograph # NH 70600. 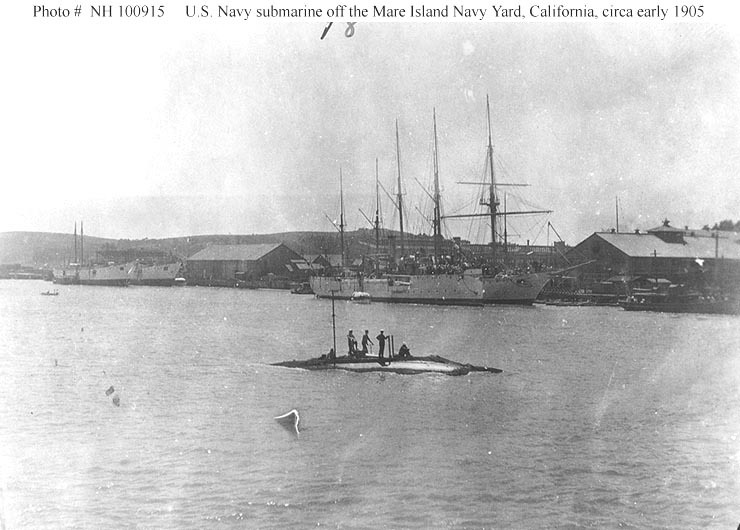 682k From left to right Fortune (YT-11), Grampus (SS-4), Pike (SS-6), and Receiving Ship Independence at Mare Island on 23 April 1904. USN photo # MINSY 329-4-1904, courtesy of Darryl L. Baker. 82k An early U.S. Navy submarine (probably) Grampus (SS-4) or Pike (SS-6) underway off the yard, circa early 1905. Gunboats Petrel and Princeton are in the center background. At left are the decommissioned gunboats Annapolis and Vicksburg. USNHC photograph # NH 100915. Courtesy of Ted Stone, 1986. 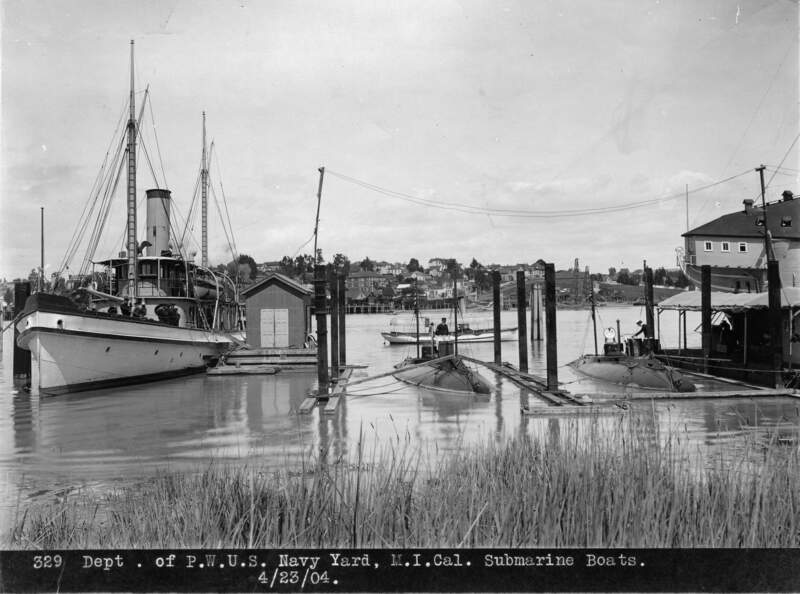 275k The Bennington (PG-4) is in Mare Island's dry dock #1 on 9 May 1905 with Dart (YFB-308) and Pike (SS-6) forward and the civilian ferry Vallejo aft. I can't ID the ship in the water outside the dry dock. USN photo courtesy of Darryl L. Baker. 202k A postcard by the Pacific Novelty Co., San Francisco. 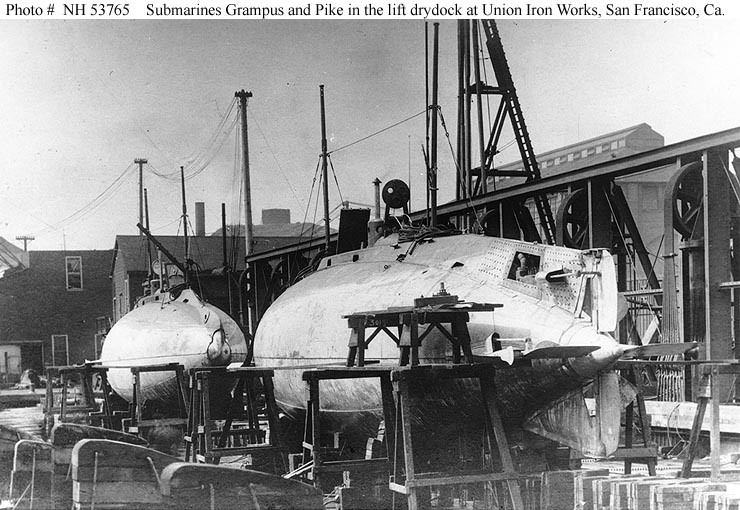 The photo is of from left to right Pike (SS-6), Fortune (YT-14) and Grampus (SS-4) in Dry Dock #1 at Mare Island. These vessels were in dock together from 13 to 20 August 1906 and based of the condition of their hull painting I would say the picture was taken either on the 19th or 20th of August. The stack and mast of the Wyoming (M-10) is in the background in the left hand corner. Photo courtesy of Darryl L. Baker. 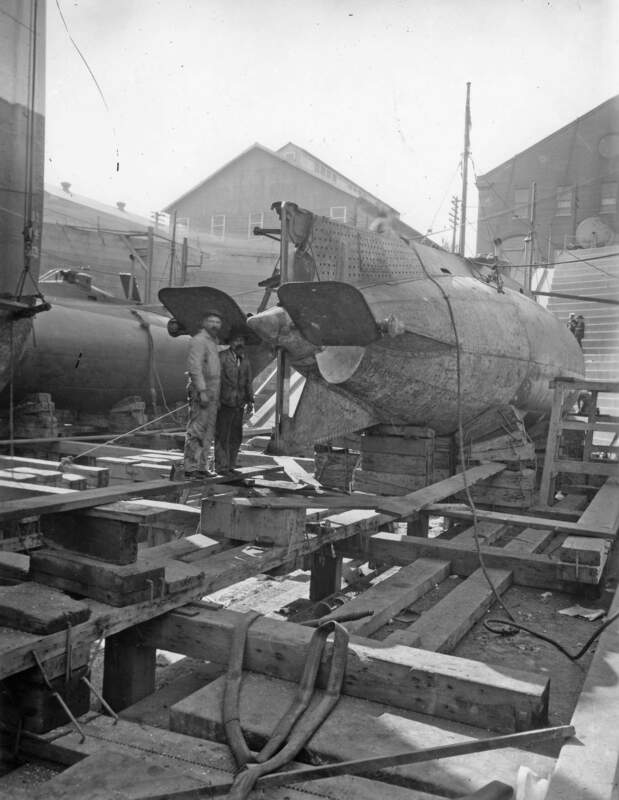 563k Stern view of Pike (SS-6) in the background to the left and the Grampus (SS-4) are seen after being removed from the water via marine railway on 4 January 1907. Grampus was re-launched on 30 April 1908 and Pike followed on 2 May 1908. USN photo courtesy of Darryl L. Baker. 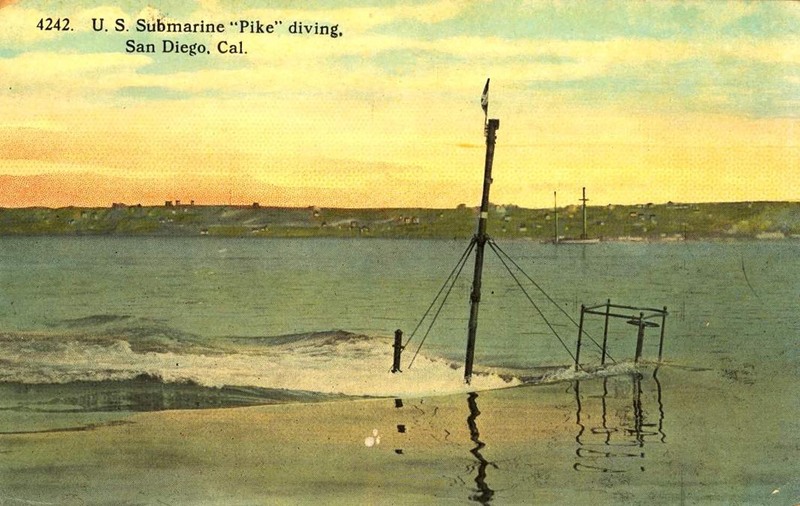 242k Color tinted post card of the Pike (SS-6) submerging at San Diego CA. Photo courtesy of Arnold A. Putnam via Gary Priolo. 142k This is a post card. 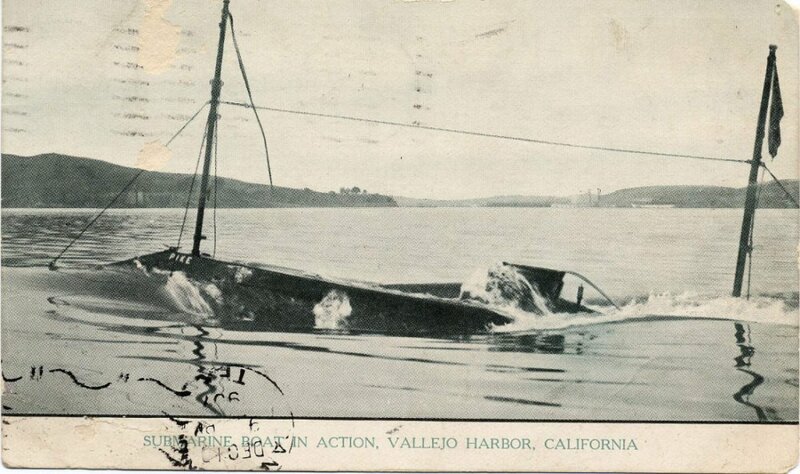 Caption on the card read "Submarine boat in action, Vallejo Harbor, California." She appears to be going from Mare Island Navy Yard to the Vallejo side of the harbor. The card was post marked (back) in Vallejo on 6 December 1907 and post marked again 19 December 1907 in San Antonio, Texas. 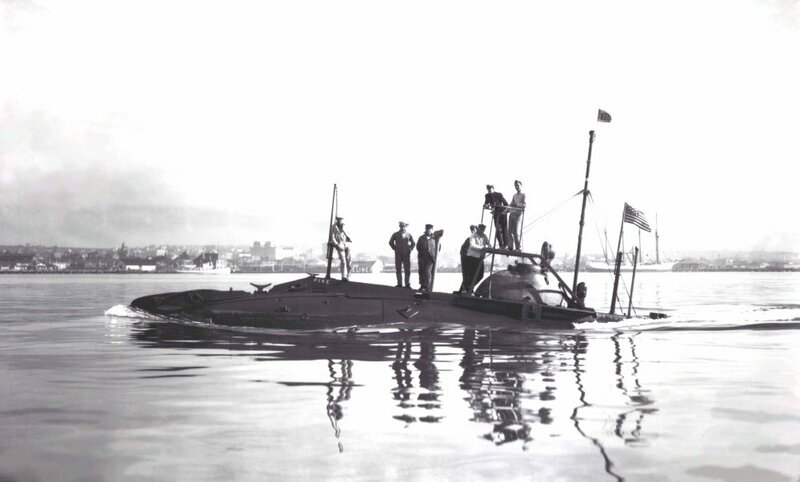 Pike (SS-6) was moderized at Mare Island between 1906 and 1908. USN photo courtesy of Darryl L. Baker. Photo from The San Francisco Call. (San Francisco [Calif.]) 1895-1913, 19 September 1908, Image 1, via chroniclingamerica.loc.gov. 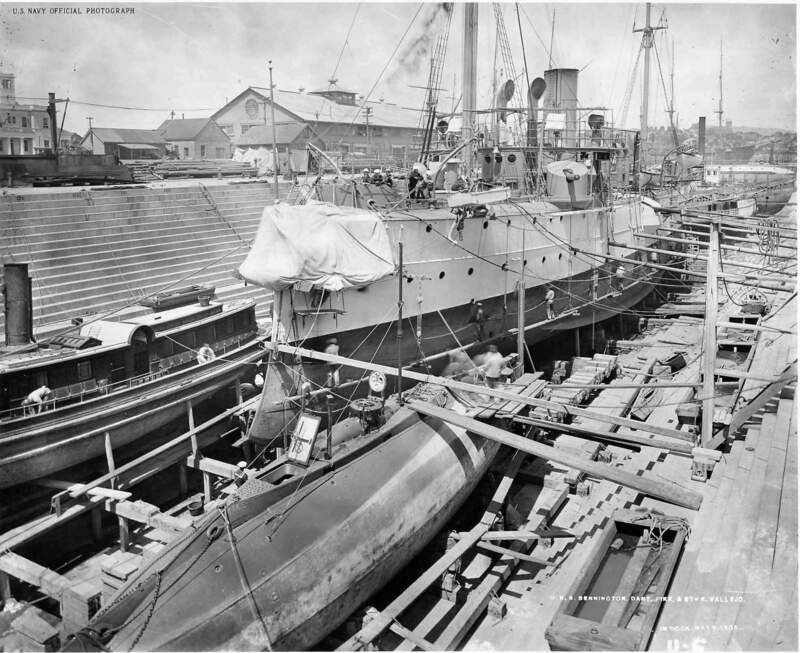 1.09k A 150-TON CRANE LIFTING A SUBMARINE TORPEDO BOAT Image and text provided by Library of Congress, Washington, DC. Photo from New-York Tribune. (New York [N.Y.]) 1866-1924, 06 December 1908, Image 18, via chroniclingamerica.loc.gov. 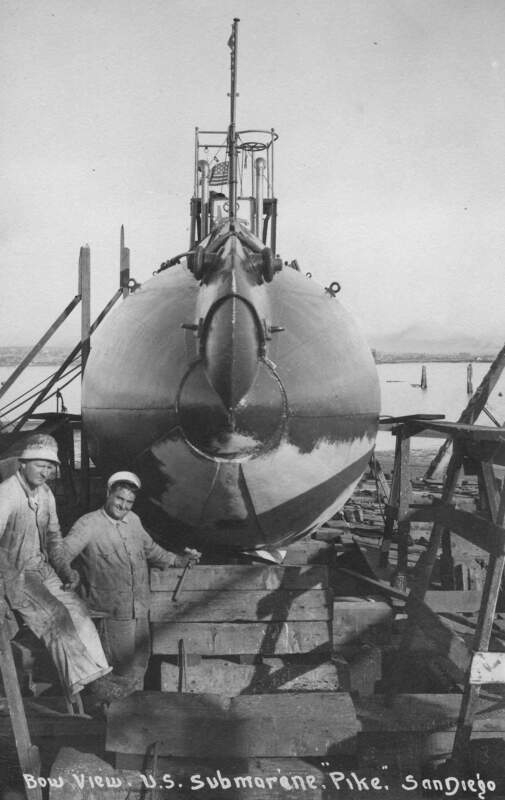 177k Pike (SS-6), at the Mare Island Navy Yard, Vallejo, CA., circa 1908. Two Paul Jones class destroyers are in the center background. Ship in the right distance is the hospital ship Relief (AH-1). USN photo courtesy of ussubvetsofwwii.org. 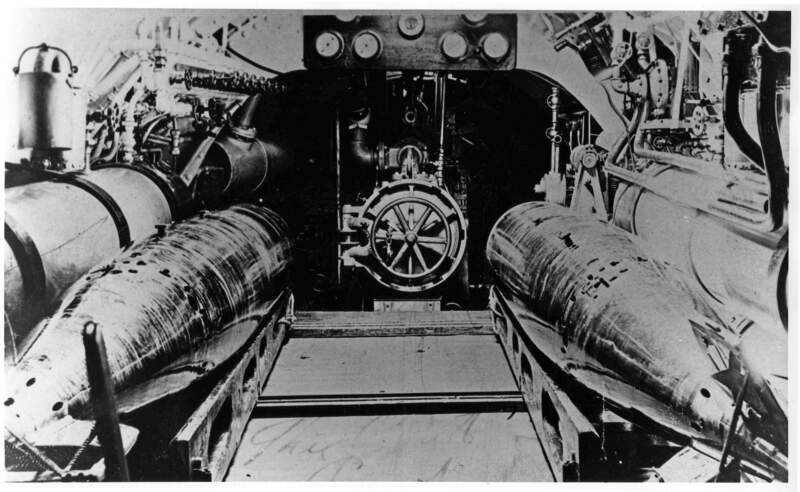 710k 1949 reprint of the torpedo room aboard Pike (SS-6) circa 1909. USN photo courtesy of Darryl L. Baker. 238k Post card, no copyright info on the card. Pike (SS-6) departs dry dock #1 at Mare Island on 3 August 1909. USN photo courtesy of Darryl L. Baker. 3.39k Little Submarines Ready To Begin Series of Tests. Photo from The San Francisco Call. (San Francisco [Calif.]) 1895-1913, 12 September 1909, Image 22, via chroniclingamerica.loc.gov. 1.22k UNCLE SAM BUSY UNDER WATER ON PACIFIC. Uncle Sam wants to know just what the bottom of the ocean is like outside the Golden Gate, the famous entrance to the bay of San Francisco. 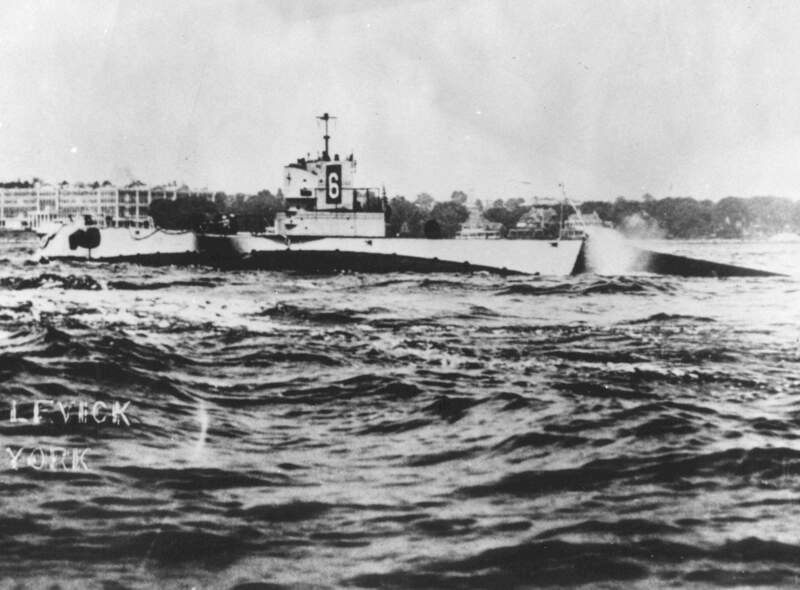 That is why in the early morning mists a few days ago, two under water fighting ships, the U.S. submarines Pike (SS-6) and Grampus (SS-4) were engaged in maneuvers with in the bay. Just why Uncle Sam wants to become acquainted with the ocean floor out beyond the "heads" of course he is not saying. A glance at a map of San Francisco harbor and its approaches and location of Its defenses, however, will indicate clearly that if in time of war it should become necessary to defend San Francisco from an attack by sea and if submarines should take a part in resisting such an attack, the field of submarine activity would be outside the gate. Image and text provided by Washington State Library; Olympia, WA. Photo from The Tacoma Times. (Tacoma, Wash.) 1903-1949, 11 October 1909, Image 6, via chroniclingamerica.loc.gov. 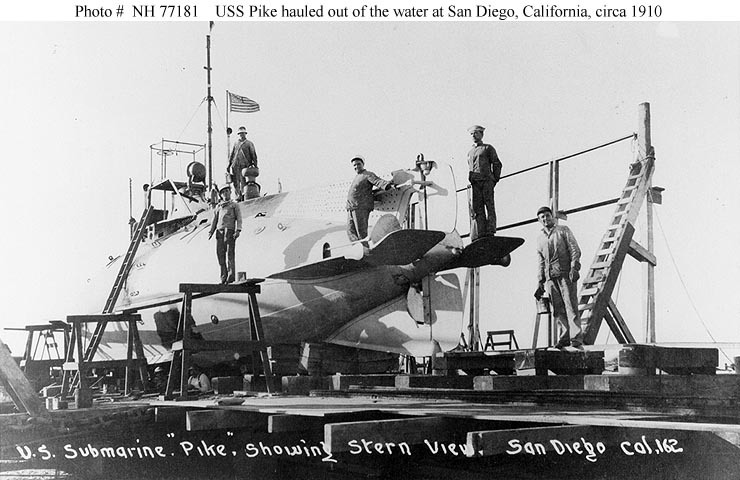 80k Pike (SS-6), hauled out on a marine railway, at San Diego, California, circa 1910. USN photo # NH 77181, from the collections of the US Naval Historical Center. 255k Post Card bow view of Pike (SS-6) on a marine railway in San Diego circa 1910. USN photo courtesy of Darryl L. Baker. Partial text i.d. courtesy of Jim Christley. 67k Pike (SS-6), redesigned conning tower and free-flooding fairwater. This is merely a free flooding fairwater that surrounds an extended access trunk. These boats were very wet on the surface in anything other than glass calm waters. To keep waves from washing over the hatch and flooding the boat, the access trunk was modified and the fairwater was built around it. All of the A-Class boats received this modification, with minor variations. The photo was taken from a glass slide, so this in an original. Partial text courtesy of Dave Johnston (USNR)& Jim Christley. USN photo courtesy of Bob Vanderveen & ramonacafe.com. 853k This photo of the Pike (SS-6) appears to have been taken about the same time as the above photo but from a different angle. The photo carries a date of July 1910 at San Diego. USN photo courtesy of Darryl L. Baker. 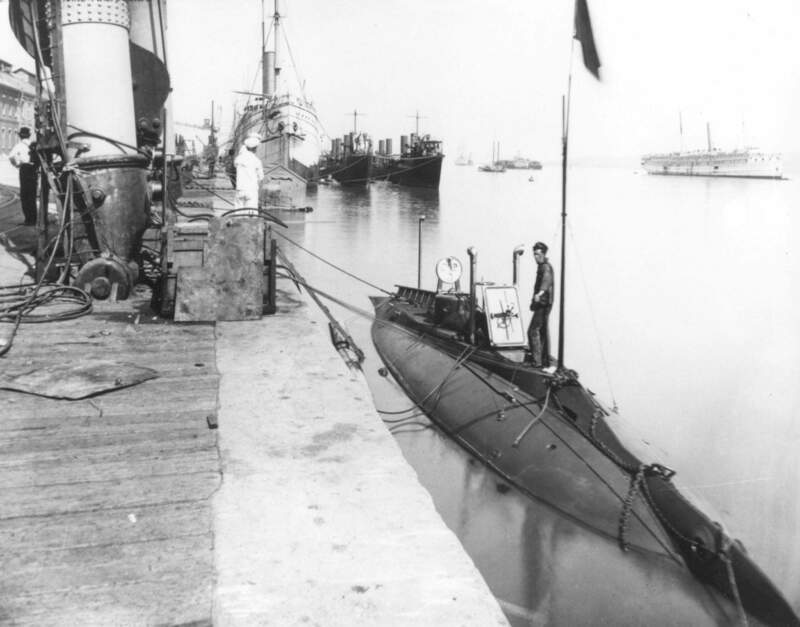 1.32k U.S. SUBMARINES GRAMPUS (SS-4) & PIKE (SS-6) IN SAN PEDRO HARBOR Image and text provided by University of Utah, Marriott Library. Photo from Deseret Evening News. (Great Salt Lake City [Utah]) 1867-1920, 16 July 1910, Last Edition, Part Two, Image 22, via chroniclingamerica.loc.gov.